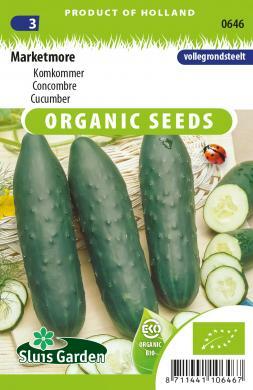 Old but very reliable variety for outside in the garden or in greenhouses. Produces approx. 20 cm long fruit with a delicious flavour. The light spines on the somewhat thicker fruit enhance the flavour. Has a good natural resistance to diseases. Harvest when young to discourage seeding. Transplant not earlier than late May in the garden in a sunny, well fertilized and sheltered spot. Once each tendril has formed 2 to 3 fruits cut off the top of the tendril. This prevents too many fruits forming and extends the harvesting period.